The Streambot uses updated wireless technology to adapt audio systems with Bluetooth capability. 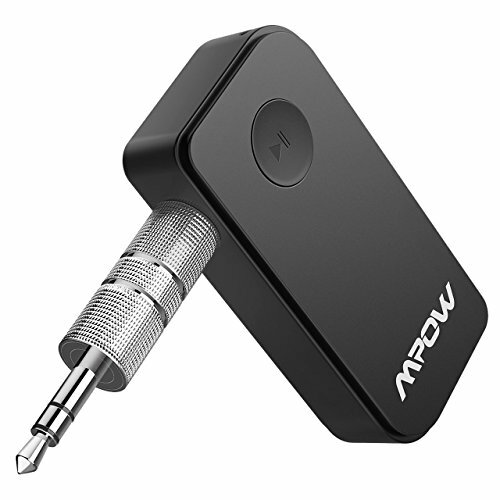 This small, compact device enables devices and stereo audio systems to be wirelessly controlled by Bluetooth 4.1. It features with A2DP technology to stream high quality audio. Just enjoy a crystal clear sound wirelessly. 10 full hours of playing any audio you choose. Bluetooth 4.1 with A2DP technology can not only guarantee a crystal clear sound, but also ensure low battery consumption, thus allowing you to enjoy up to 10 hours non-stop music! And it only needs 1.5 hours to charge fully. Works with iPhone, iPod, iPad, Android Smartphones, Tablets, and other Bluetooth-enabled Devices, easily plugs into any powered Car & Home Stereo Sound System and Speakers via the 3.5 mm audio cable/adapter. Long press "+"/ "-" button on the side can turn volume up /turn volume down. Short press"+"/ "- " button can turn to next song /previous song.